To my initial three, the group added a fourth: boats. This is, broadly, caricature. Moreover, other elements could admittedly be added to this list, such as: tailored shirts, high-grade beef, certain brands of watch, premium coffee, luxury cars, and so on. But we’ll stick to these three for the moment. “Homeland” maturity – Leading the intense TV drama “Homeland” into its sophomore season presents a new set of challenges—and fresh excuses to smoke cigars—for the show’s creators, Howard Gordon and Alex Gansa. Cognac connection – Beneath the sophisticated allure of the world’s foremost brandy is a network of tiny vineyards and craft distillers who feed the famous houses who shepherd Cognac to market. Melbourne, the marvelous metropolis – A slew of great courses and the many diversions of Australia’s second city make Melbourne the world’s foremost urban golf arena. Boat shoes are on deck again. We also find content on watches (priceless tease: “Your watch as your wingman” as if your watch will buy that attractive woman’s friend a drink while you talk about your knowledge of cognac and explain that boat shoes are back in fashion), BMWs, Bacardi, the golf resort Gleneagle, etc…. Our proposition appears to be on safe ground. Golf. The prediction here is a concentration on the long drive, which recognises the fundamentally priapic nature of the exercise. The short game is unmanly since anyone can smack a ball 50 yards. 350 yards? Oh yea! Now we’re talking. Ridiculously oversized novelty driver anyone? Wine and fine spirits. Here the benchmark is: sufficient knowledge about basic varietals to make a more or less informed choice from a modest wine list. We’re not talking Parker levels of encyclopaedic commitment; perhaps an awareness that Merlot is better when blended. That kind of thing. And we’ll add a familiarity with a few top brandies, cognacs, and vodkas to round things out. So, if we accept that these elements – wine, golf, cigars (and, why not, boats) – are associated with what we identify as a middlebrow executive culture, the question is why. Now, unusually, French theory can help. For most people, the post-modernism derived from French theory is of little use. While academics round to it with vigour in order to sound more sophistimicated, the names Kristeva, Lacan or Foucault are hardly bandied around most dinner tables. Many middle class Egyptian women joined in the protests against the Mubarak regime, defying traditional gender roles. Now let’s apply a light coat of postmodernism. (Con)testing prevalent power structures, Egyptian gender identity politics (re)produced a radical reconceptualising of the contingent essentialism contained within the self-perpetuating heteronormative and gendered class forms of a traditionalist hegemonic discourse. 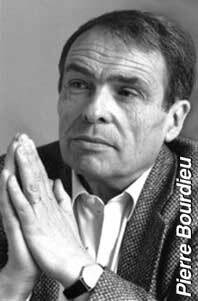 But as our discussion showed, some modest dabs of theory from the influential French thinker Pierre Bourdieu can help explain why the “Golf-Wine-Cigar” trifecta has become indelibly linked to an executive lifestyle. So put on those newly fashionable boat shoes and take a walk on the slippery decks of sociology.